Mr. Pawan Luthra Assistant Professor, Department of Computer Science & Engineering, SBSSTC, Ferozepur, Punjab. Keywords: Cloud Computing, Load Balacing, Virtual Machine, Data Center, Data Center Broker. Cloud computing is one of the latest and upcoming paradigm that offers huge benefits such as reduced time to market, unlimited computing power and flexible computing capabilities. It is a model that provides an on-demand network access to a shared pool of computing resources It comprises a large number of concepts primarily Load Balancing, Scheduling, etc. This paper discusses load balancing as a mechanism to distribute the workload evenly to all nodes in the system to achieve a higher resource utilization and user satisfaction. It helps in allocation and de-allocation of instances of applications withoutÂ Â failure. This paper reports a new load balancing technique using modified credit based system using task length, task priority and its cost. The proposed algorithm has been implemented in cloudsim toolkit and its comparison with existing algorithm has been discussed in the paper. 1] Wu, H.-S., Wang, C.-J., and Xie, J.-Y. (2013a). Terascaler elb-an algorithm of predictionbased elastic load balancing resource management in cloud computing. In Advanced Information Networking and Applications Workshops (WAINA), 2013 27th International Conference on, pages 649-654. IEEE. Wu, X., Deng, M., Zhang, R., Zeng, B., and Zhou, S. (2013b). A task scheduling algorithm based on qos-driven in cloud computing. Procedia Computer Science, 17:1162-1169. Sharma, A. and Peddoju, S. K. (2014). Response time based load balancing in cloud computing. In Control, Instrumentation, Communication and Computational Technologies (ICCICCT), 2014 International Conference on, pages 1287-1293. IEEE. Ren, H., Lan, Y., and Yin, C. (2012). The load balancing algorithm in cloud computing environment. In Computer Science and Network Technology (ICCSNT), 2012 2nd International Conference on, pages 925-928. IEEE. Raju, R., Amudhavel, J., Kannan, N., and Monisha, M. (2014). A bio inspired energy-aware multi objective chiropteran algorithm (eamoca) for hybrid cloud computing environment. In Green Computing Communication and Electrical Engineering (ICGCCEE), 2014 International Conference on, pages 1-5. IEEE. Mesbahi, M., Rahmani, A. M., and Chronopoulos, A. T. (2014). Cloud light weight: A new solution for load balancing in cloud computing. In Data Science & Engineering (ICDSE), 2014 International Conference on, pages 44-50. IEEE. Domanal, S. G. and Reddy, G. R. M. (2013). Load balancing in cloud computingusing modified throttled algorithm In Cloud Computing in Emerging Markets (CCEM), 2013 IEEE International Conference on, pages 1-5. IEEE. Domanal, S. G. and Reddy, G. R. M. (2014). Optimal load balancing in cloud computing by efficient utilization of virtual machines. In Communication Systems and Networks (COMSNETS), 2014 Sixth International Conference on, pages 1-4. IEEE. Delavar, A. G. and Aryan, Y. (2014). Hsga: a hybrid heuristic algorithm for work flow scheduling in cloud systems. Cluster computing, 17(1):129-137. O.M. Elzeki, â€œImproved Max-Min Algorithm in Cloud Computingâ€. International Journal of Computer Applications(0975-8887) Volume 50-No.12, July 2012. Vishwas Bagwaiya, â€œA HYBRID APPROACH USING THROTTLED AND ESCE LOAD BALANCING ALGORITHMS IN CLOUD COMPUTING. Amandeep Kaur Sidhu. â€œAnalysis of load balancing techniques in cloud computingâ€. 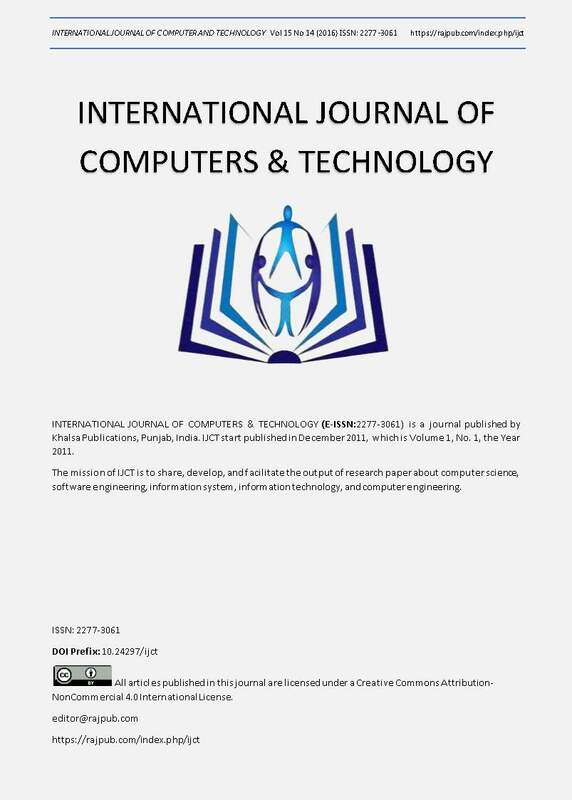 International Journal of computers & technology volume 4 No. 2, March-April, 2013, ISSN 2277-3061. Ektemal Al-Rayis. â€œPerformance Analysis of load balancing Architectures in Cloud computingâ€ 2013 European Modeling Symposium. 978-1-4799-2578-0/13$31.00@2013 IEEE. Haozheng Ren, â€œThe load balancing Algorithm in cloud computing Environmentâ€ 2nd International Conference on computer science and network technology, 2012. Tushar Desai. â€œA survey of various load balancing techniques and challenges in cloud computingâ€ International Journals of scientific and technology research volume 2, Issue11,Nov2013. Upendra Bhoi. â€œEnhanced max-min Task scheduling Algorithm in cloud computingâ€. International Journal of Application or Innovation in Engineering & management(IJAIEM), April 2013. Klaithem Al Nuaimi, â€œA survey of load balancing in cloud computing challenges and algorithmâ€. 2012 IEEE second symposium on network cloud computing and applications. Gytis Vilutis, â€œModel of load balancing and scheduling in cloud computingâ€. Proceedings of the ITI 2012 34th Int.Conf. on Information Technology Interfaces, June 25-28,Cavat,Croatia. L.D.Dinesh Babua,*. â€œHoney Bee Behaviour inspired load balancing of tasks in cloud computing environments, Jan 30,2013. Kumar Nishant, â€œ Load Balancing of Nodes in Cloud Using Ant Colony Optimizationâ€. 2012 14th International Conference on Modelling and Simulation. Mr. M. Ajit, â€ VM Level Load Balancing in Cloud Environmentâ€, IEEE â€“ 31661.